Our bespoke custom made rugs have been proven to be a great a success with all our clients that have taken advantage of this unique service. To create your custom made rug we either have a collection for you to choose from that can be simplified or developed to suit your design. Or together with our design team we can work with you to develop your concept through every stage of design that will deliver the custom made masterpiece to complement your room. 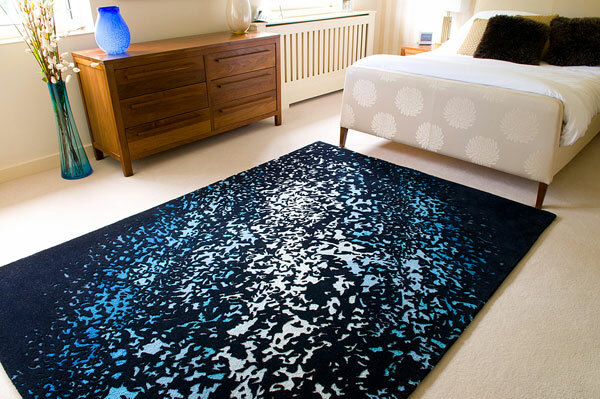 Once your flooring has been fitted, many clients ask for rugs and runners to be made that will complement both their flooring and surroundings. Our runners are mostly compiled of the same carpet that has been fitted and are then cut to measure and finished with a binding of your choice, which when laid not only looks stunning but generates extra protection to those heavily used areas. Our team have a range of custom designed runners and rugs to choose from, if a bespoke design is more what you are looking for.